Character art tutorial, Athena. 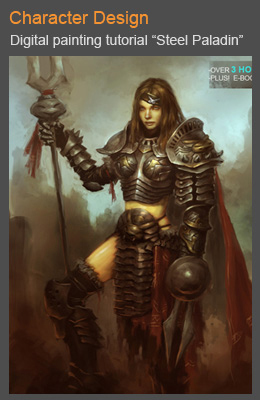 In this tutorial, I will show you step by step process how to draw and paint a character art Goddess Athena. Athena is the great Olympian goddess of wise counsel, war, the defence of towns, heroic endeavour, weaving, pottery and other crafts. She was depicted crowned with a crested helm, armed with shield and spear, and wearing the snake-trimmed aigis cloak wrapped around her breast and arm, adorned with the monstrous head of the Gorgon. This is a second part of a character design tutorial. You can see part one at thumbnails for character art Athena. Like I mentioned, most of the concept art begin with simple origin, even if it is a complex idea. What I usually aim for whenever I design a character is visually interesting or super cool silhouette for a character. 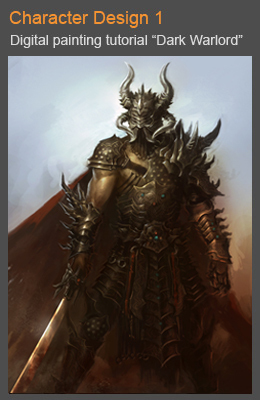 In this illustration or character art, I have the description from a client then I work on the illustration as close to the description as I can. 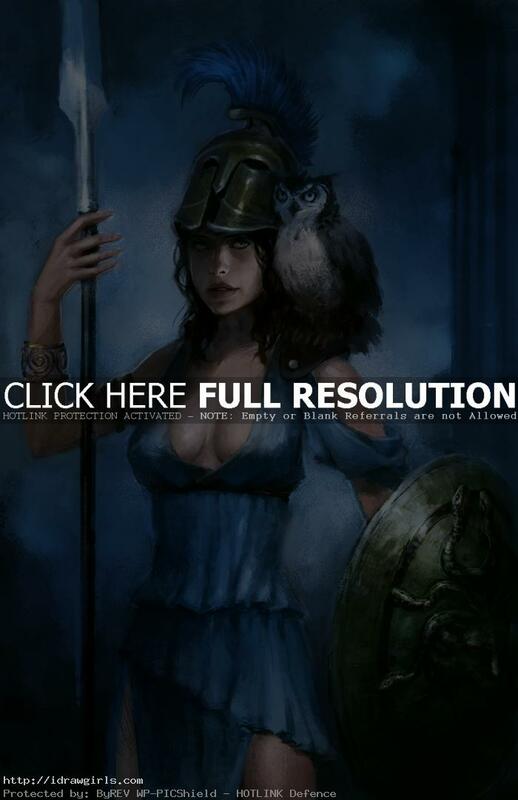 Below are step by step painting process of a Goddess Athena. I usually start with monochrome painting. It is usually came from the final comps that I decided to make it a finished illustration. Step two, I then apply some base color before I go any further. Step three, I painted slimmer dress and changed her helmet to be more Spartan like. Step four, I lighten up her dress more and add reddish hue to her skin tone. Step five, I refined her armband and straighten up the spear. Step six, I paint the spear’s head to make it more metallic. Step seven, I add more detail to the shield and made it bronze. Step eight, I added more light and folding to her dress then touch up her skin color. Then I process to final illustration.